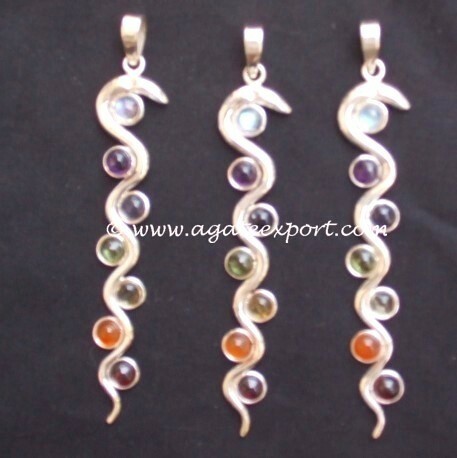 Chakra snake pendant is made of chakra stones â€“ garnet, carnelian, citrine, peridot, iolite, amethyst and blue topaz. This pendant helps in the rise of Kundalini energy, which takes you on a spiritual path. Order this beautiful pendant on Agate Export and feel your energy field get stronger.